With The Comark MT200K Meat Thermometer with Dial, 120F to 200F you will be able to check your roasts and birds with spot on accuracy. 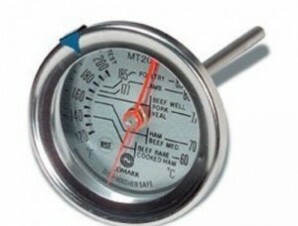 The Comark Meat Thermometer has a large dial face that is easy to read. 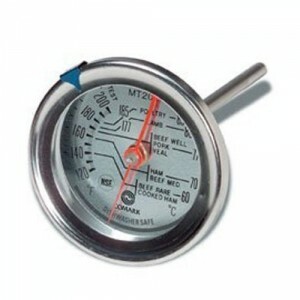 Dishwasher safe with an adjustable temperature indicator the Comark MT200K Meat Thermometer with Dial, 120F to 200F is easy to use, great for use in any kitchen.